A short while ago, I discovered that using a skin in a PC's creature armour slot caused problems when the PC later equipped or unequipped armour: The armour penalty figures would eventually start to miscalculate and give errors with skill scores. At the time, I thought I resolved the problem by using an adapted creature bite object instead. 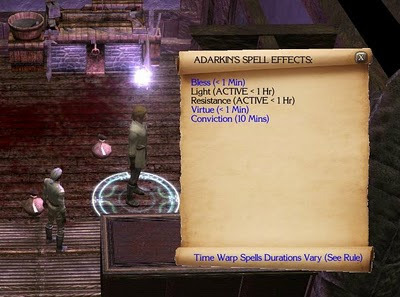 Unfortunately, only this week, I discovered that this adapted item also caused problems, but this time with unarmed combat: If a PC with the adapted bite item on them attacked an object with unarmed combat, then only bonus strength damage would be applied. This was obviously not going to work and I came to the conclusion that skin items did not work anymore with NWN2. Thankfully, many of the ideas I had that involved using a skin can now be coded using new functions allowing us to directly alter attributes. One aspect that did still need consideration, however, was if a new feat altered a PC's skills in some way. 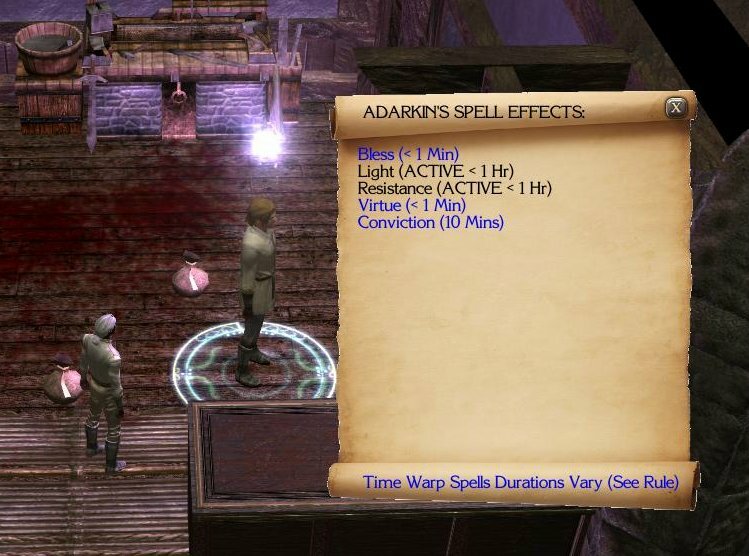 The problem is that while it is possible to alter PCs skills directly, the same process leaves small icons showing the changes as spell effects, which is not wanted. In the end, I opted to design and include a new item: The Trade Skills tome. 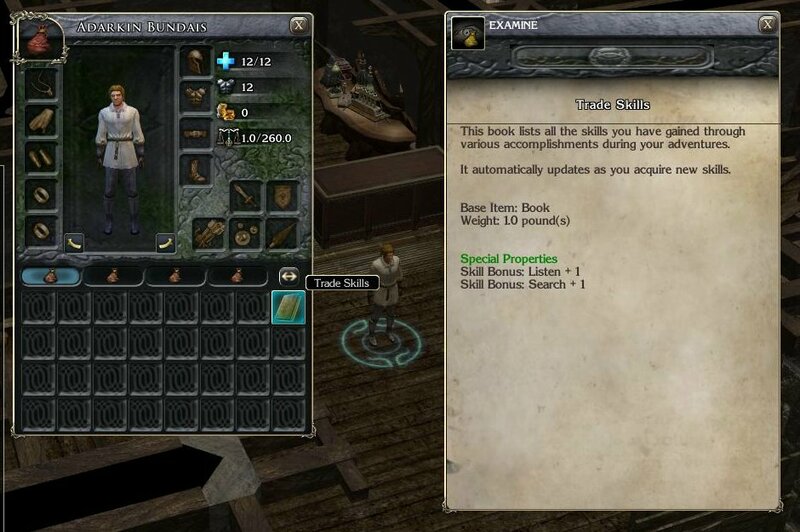 This tome is a non-drop item that now keeps track of all skills altered by new feats. 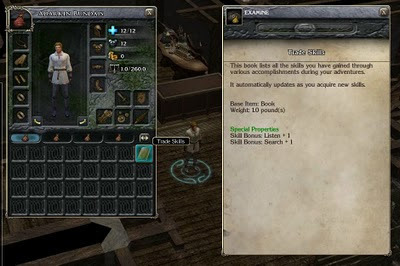 This method is also quite useful for players to be able to see how their newly acquired feats are boosting their skills, which can be helpful when determining what skill-boosting items to keep or trade. I feel it complements other feedback methods used in the module well. Here is an image of the book being examined by a PC that has acquired some such skills. Don't forget to vote in the poll on your ideal party size if you have not yet done so.